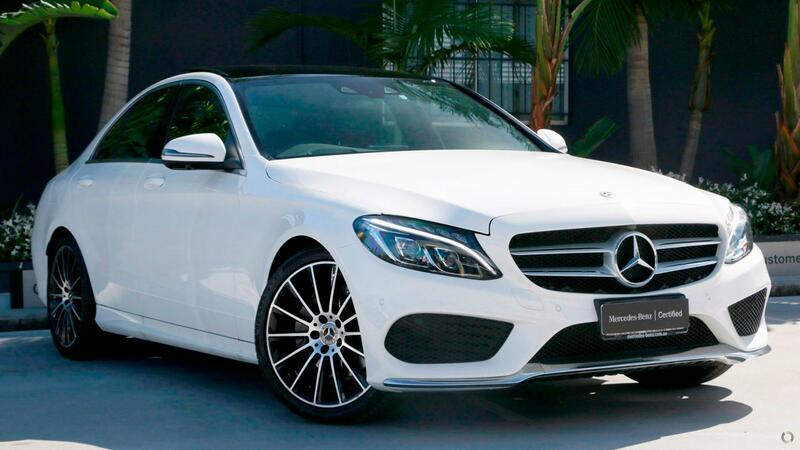 This Certified Mercedes-Benz C200 Sedan, finished in Polar White with Black ARTICO Leather trim, features some of the most advanced drivers assist features on the market. Blind spot assist along with auto emergency braking ensure your drive is as enjoyable as it is safe. Featuring a powerful yet refined petrol engine, this model also features the Vision Pack, comprising of a head up display, 360 degree camera, a huge panoramic sunroof, and adaptive LED intelligent headlamps. The AMG Line also adds aggressive AMG body styling, sports seats, sports suspension, and 19" AMG alloys. Luxury is assured in this vehicle so even the longest of journeys can be accomplished in comfort.